I love fall, the cooler weather, the crisp nights and the holidays. And apples. Especially apple pie. Kids love holidays as well. 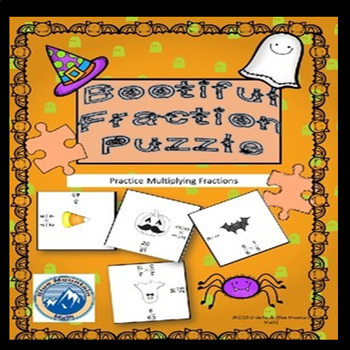 For the classroom, it becomes more difficult to keep students focused on math (or any other subject). Adding to the natural frenzy that Halloween brings, my high school allows students to come in costume, has a costume contest during lunch and other Halloween themed activities through the week. The school clubs all sell Candy-grams which are delivered during class, adding another interruption during the week. Clearly, they have all joined the “If you can’t beat them, join them” strategy. It doesn’t matter what age they are, kids love Halloween. Days before are spent anticipating the costume and sugar-laden days after keeping everyone in a frenzy. Every year I dread October 31, but not as much as the days that follow when students bring backpacks of candy to school to eat instead of a boring lunch. If you are like me, Halloween brings mixed feelings. I enjoy the fun, but classroom routine seems to go out the window. 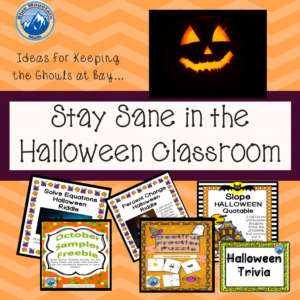 Students cannot focus for DAYS because of the excitement (much more than Thanksgiving or Christmas). Over the years, I’ve developed some strategies to keep sane. 1) Understand that there is nothing you can do to stem the thoughts of endless sugar. This too shall pass, at least until next year. 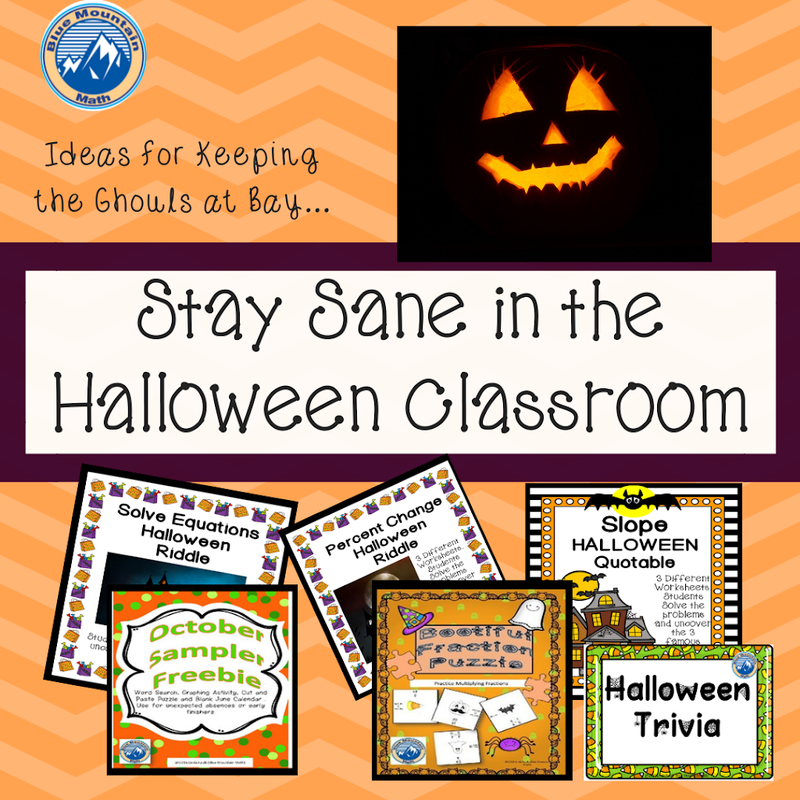 Relax some standards and build in some time for Halloween themed activities. I am NOT saying a party, but it will be mentioned. My students mention a party on a regular basis (like every Friday) and I always say no. My school celebrates with the annual pumpkin drop. Pumpkins are dropped from the roof of our two-story theater down to the ground while students with stopwatches are timing their fall. It makes a good lesson for physics or graphing. It also makes a mess. But it’s fun. 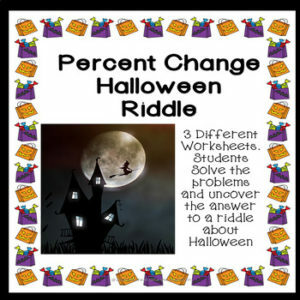 · “GhostBusters,” Ray Parker Jr.
3) Try ending the class with a few minutes of a Halloween themed video. They have some fun cartoons on YouTube which have holiday themes. I never tire of watching Thriller by Michael Jackson ( on my bucket list is to learn that dance and do it to the video). This is great to use as a reward, and I suggest you always preview any videos you use in class. · Grinch at Halloween? Who knew. 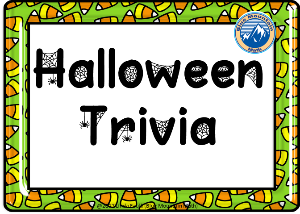 4) Have you tried a trivia for Halloween? I try to keep the kids guessing. We do something different each day; I dislike routine. 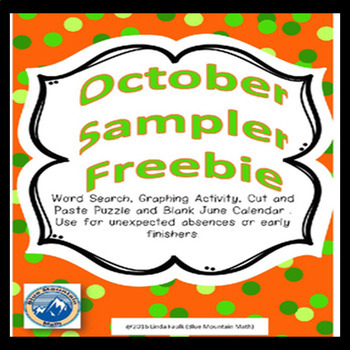 I love having a Quick Friday activity to end the week or try this out on October 31. 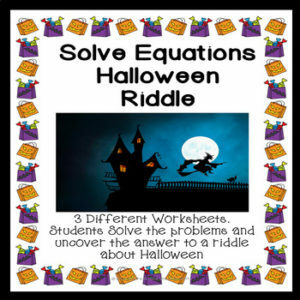 You can use these cards as a whole class activity or assign on individual devices. Free Boom Card Halloween Trivia. 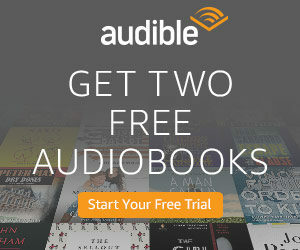 You will need to create an account to use these. If you are new to Boom CardsTM just by clicking this link you will receive 90 days of a free account to use this deck. 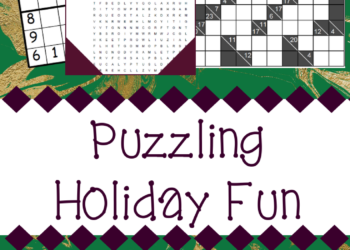 If you enjoy this holiday trivia, I have others as well that are Free. 5) This one is easy. Create 4 worksheets of 6 problems each that students work together in teams of 4. The answer needs to be numeric. They coach each other to get correct answers. And when they are done, they add all their answers together, run to me and ring a bell. If they are correct, they all win a prize. If they are wrong, I say “sorry” in a loud, crazy voice and they race back to their seats to examine their work again. The prize is usually candy (ok, I know what I said before about Candy, but you should see how hard they work for it). This is the sad part: I have very few winners. It is not for lack of trying. I have never seen students work at such a crazed pace, but even if their answers are correct they usually are not able to add 24 numbers together correctly (This is especially true if there are negative numbers involved). But it does get them talking to each other and working out the problems at a level of excitement I usually never see in Math class. I have had students work all period and then ask the next day if they could continue to work on the “game”. And I usually give them all candy anyway (Yes, I’m a softie). Every year students ask me if I am going to dress up. I do. I dress up as a high school teacher. But don’t tell anyone. That’s my costume this year too.